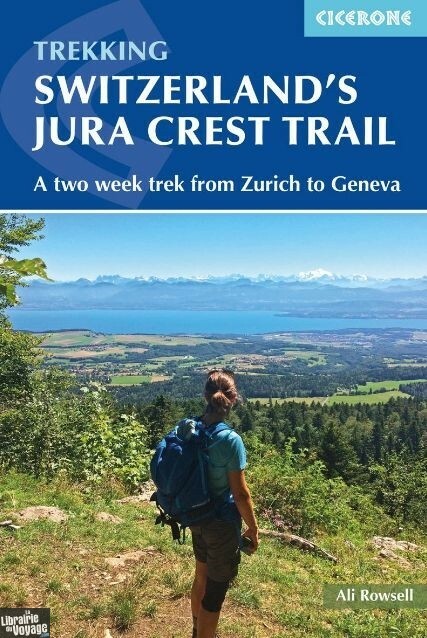 Guidebook to the Jura Crest Trail (also known as the Jura High Route), traversing the undulating limestone plateau of the Swiss Jura. 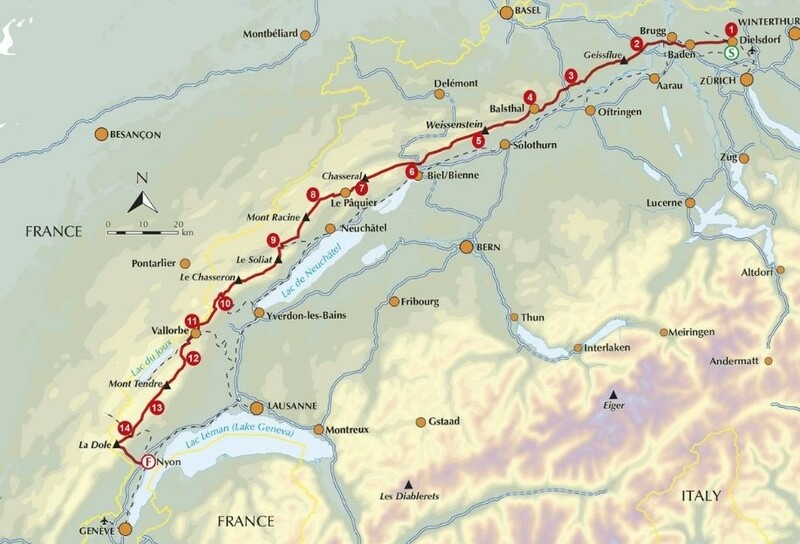 The 310km trail, from Dielsdorf near Zurich to Nyon on Lac Léman (Lake Geneva), is presented in 14 day stages and boasts great scenery and rich natural, historical and geological interest. The best time of year to walk the Jura Crest Trail is between May and September, when more accommodation options and transport links are available. Stages are graded according to difficulty. The Jura Crest Trail is classified as an easy hiking trail (Wanderweg), with some sections requiring a higher level of fitness than others. Stage 1 has the only optional section of 'mountain' trail (Bergweg), to descend into Baden. Specialist equipment is not required. This guide presents Switzerland's Jura Crest Trail. 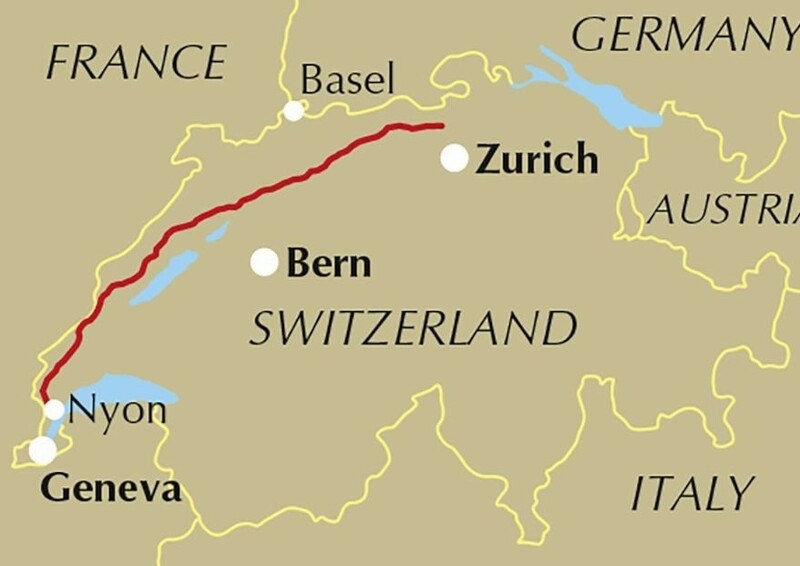 Also known as the Jura High Route (Swiss national route 5), this 310km long-distance route traverses the sub-alpine mountains of the Swiss Jura from Dielsdorf near Zurich to Nyon on the shores of Lac Léman (Lake Geneva), running roughly parallel to the Swiss-French border. With over 13,500m of ascent, the trail demands a moderate level of fitness and can be comfortably completed in around a fortnight. 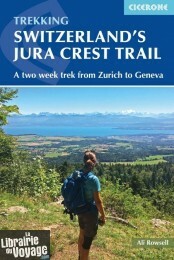 The Jura Crest Trail is easily accessed from Zurich and Geneva. The region boasts excellent walking infrastructure and facilities, and although the trail crosses the mountains, you are seldom too far from civilisation. The guide contains all the information you need to plan and walk the route. You'll find advice on transport and comprehensive details of accommodation and refreshments. The trek itself is presented from east to west in 14 stages of 12–32km, with step-by-step route description accompanied by clear mapping and notes on local points of interest.